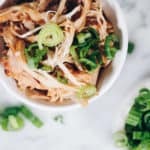 We have definitely been using our Instant Pot a ton this winter, and I have suspicion that we will still continue to use it as we transition to the Spring. It just makes life easy, and who doesn’t love that? 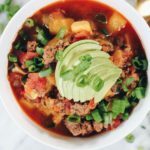 So add this easy Instant Pot Beef Stew to your agenda, it’s an easy and tasty one you can enjoy all year long. 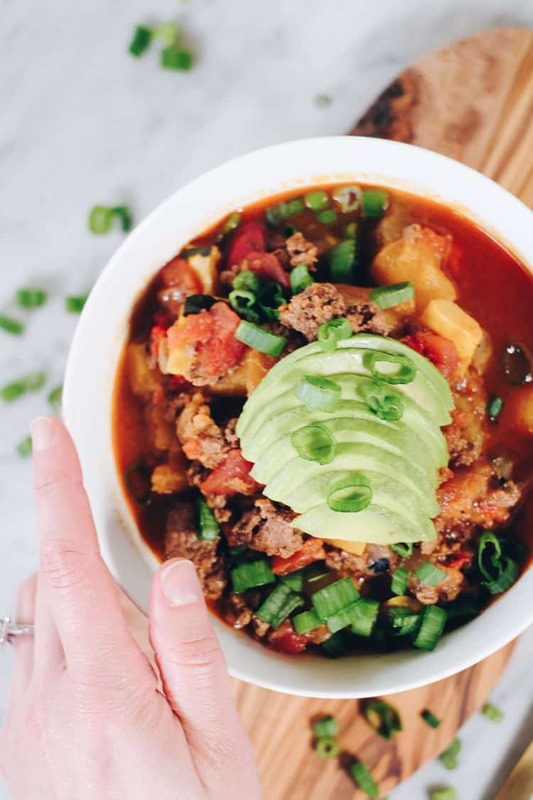 Real talk: at first using anything other than the pressure cooking on our Instant Pot was intimidating to us. So, if you are new to Instant Pot cooking, trust us when we say we get that it seems like a machine from the future that is a tad intimidating. 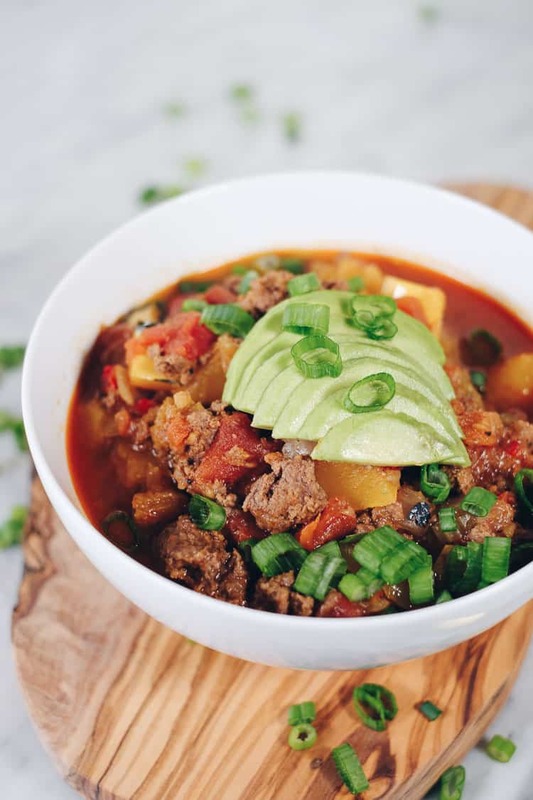 We hear you, so this Instant Pot Beef Stew is a great introduction to using the “Sauté” button if you’re unfamiliar with it so far! 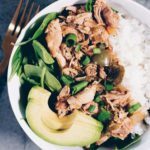 This is one of the many reasons we favor our Instant Pot over our Crockpot more and more. You can’t sauté or sear things in your crockpot, but YOU CAN in your Instant Pot. And it’s so easy! You just hit the “Sauté” button, and let you Instant Pot heat up. Once it is ready, add whatever you want to sauté. In this case, onion and then ground beef. Once it starts to cook and you can break it up how you want it, you just hit the “Cancel/Keep Warm” button and then cook as desired. We used the “Soup” button for this recipe. And it was done ALL IN ONE POT. Amazing! 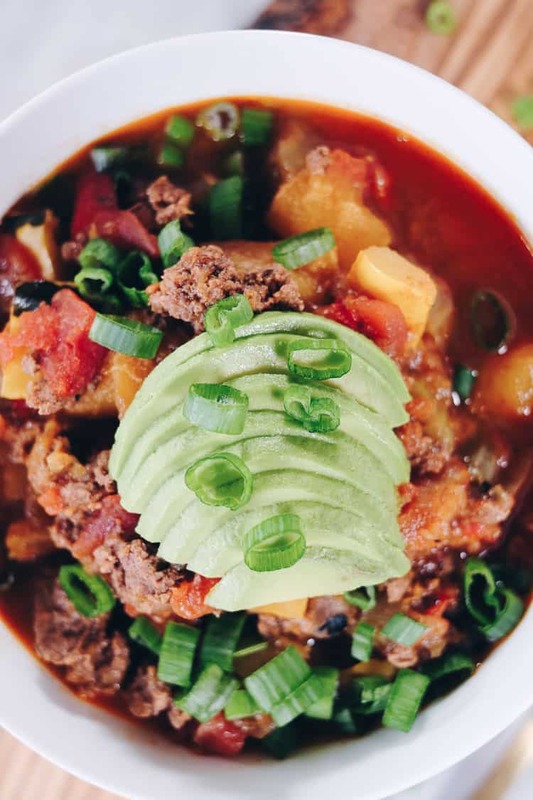 You will love the smoky, savory and sweet flavors of this Instant Pot Beef Stew. They really come together so well, and since it’s still winter and squash is available, we used delicata squash. 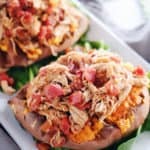 However, since this is an easy recipe to add to your regular rotation, you can swap the squash with sweet potato or yams when squash is no longer in season. 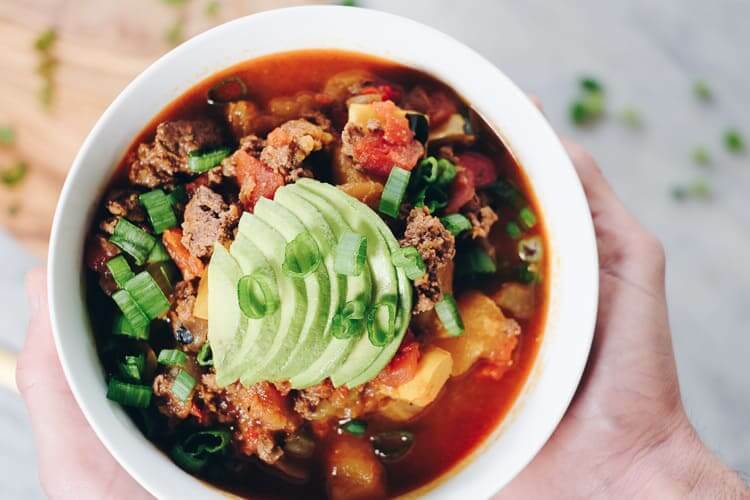 Go ahead and venture into the world of Instant Pot cooking with our Instant Pot Beef Stew! 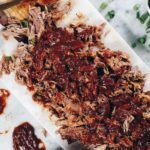 It’s an easy one to add to your bag of tricks with your Instant Pot. 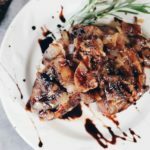 You will be searing steaks and roasts in no time! Leave a comment below to let us know how it goes. Also, take a photo and tag us on Instagram @realsimplegood, so we can check it out! 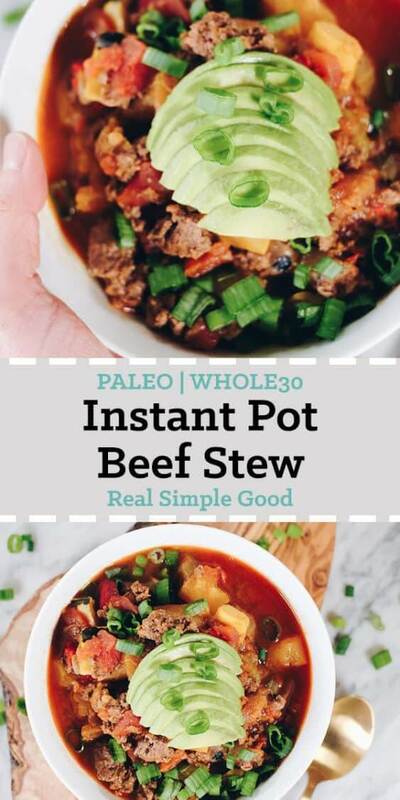 Add this Paleo and Whole30 Instant Pot Beef Stew to your agenda, it's an easy and tasty one you can enjoy all year long. It's packed with vegetables and you can top it with healthy fats and chopped green onion. Dice onion and heat the Instant Pot to Saute. Add in the onion and ground beef to saute until the beef is browned, about 7-8 minutes. Break the beef up into small bits and stir occasionally. While the beef is cooking, chop squash, carrots, celery and roasted peppers as noted. When the beef is browned, press the "keep warm/cancel" button on the the Instant Pot. Add in all of the remaining ingredients in the order listed. Stir to mix. Close the lid, close the vent and press the "soup" button and allow the Instant Pot to pressurize and cook. Once it's finished, quick release. Give the stew a quick stir, ladle into bowls and serve. 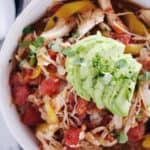 In a large crockpot, add in all of the ingredients in the order listed. Stir to combine and break up the beef into smaller bits. (You can separately brown the beef and onions if desired before adding it to the crockpot, but you don't have to). Cook on low for 8 hours or high for 4 hours. Stir to combine and break up beef further if needed. Ladle into bowls and serve.